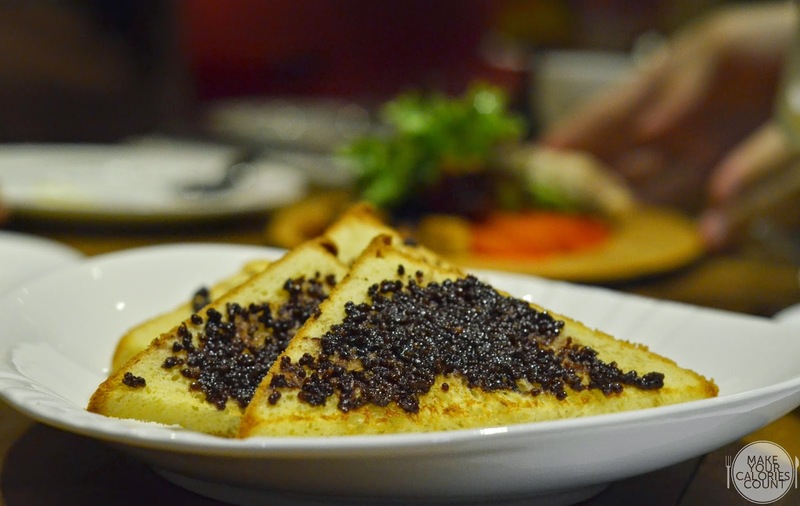 For those working at the Raffles Place area, the newly launched One Raffles Place Mall would be a familiar spot for foodies with its abundant offering of eateries at the basement level. What many failed to identify, including us, is that good food at the building stretches beyond shoppers haven of H&M and Uniqlo to the third level where JBM Coffee & Dining resides. 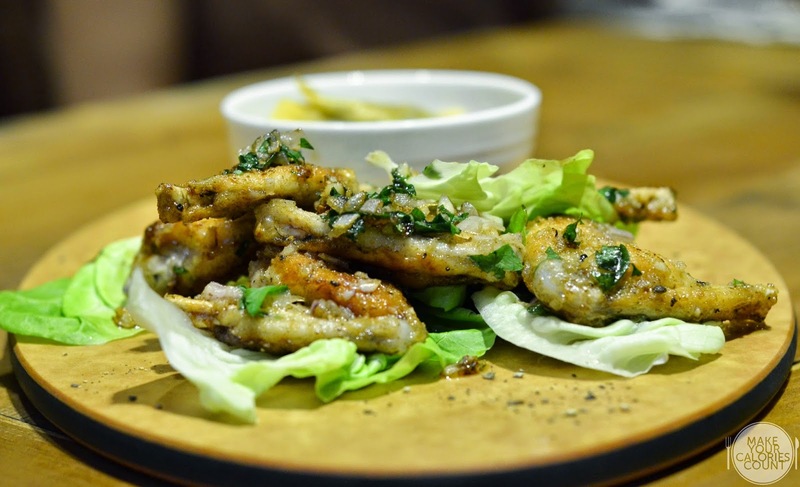 The open concept restaurant reflecting touches of rustic French and Italian cuisines is quite an overlooked gem in the heart of the CBD area. Led by Chef Chamara Fonseka, who previously honed his culinary skills at Au Petit Salut and Covelli, he ingeniously combined the essence of the two European fares. 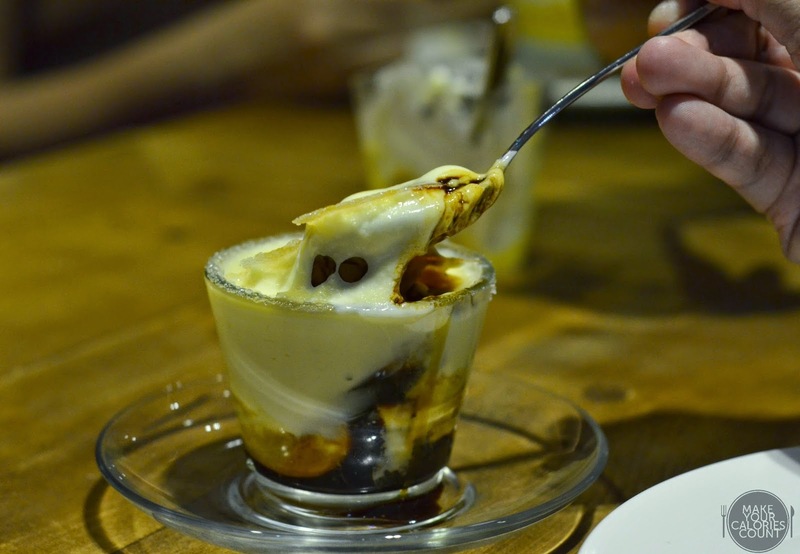 What set this restaurant apart however is not just the food but also its coffee creations. Helmed by head barista, Shawn, who recently came in first runner up at Singapore's National Latte Art Championship 2014, expect your caffeine kicks to be treated in good hands. 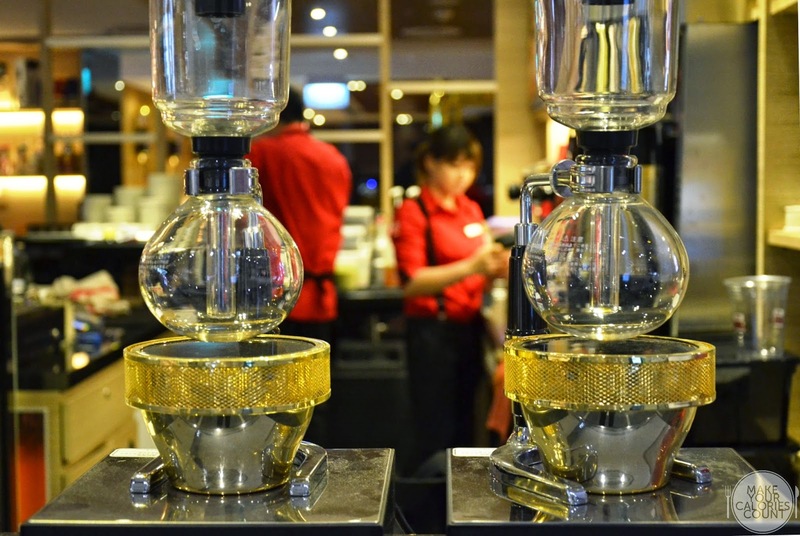 Serving up different types of coffee brews with various methods, do not be shy to check with Shawn or any of the other well-trained friendly baristas to make sure that you enjoy your coffee the way it was meant to be. With the owner, Evangeline Wong being a trained barista herself, she sources for the best Jamaican coffee beans and does her own roasts. 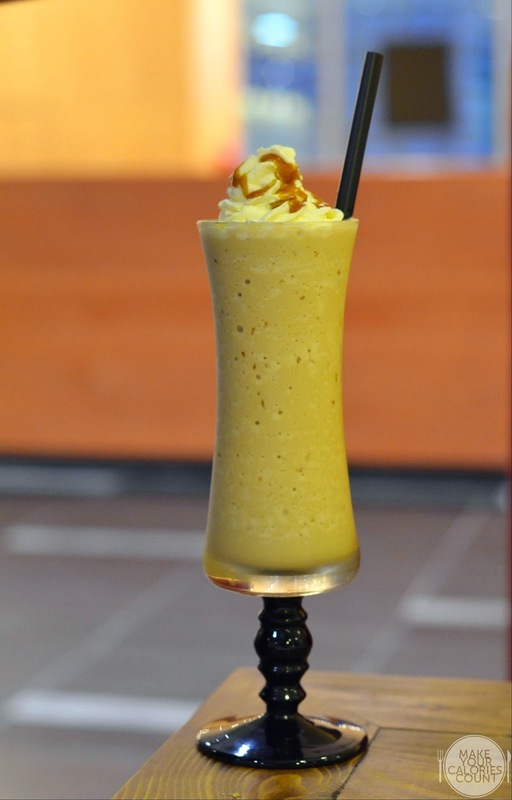 Testified by the success of her first coffee hideout, Blue Mahoe Estate Caffee at the Esplanade, can JBM Coffee & Dining equally impress with its food offerings? 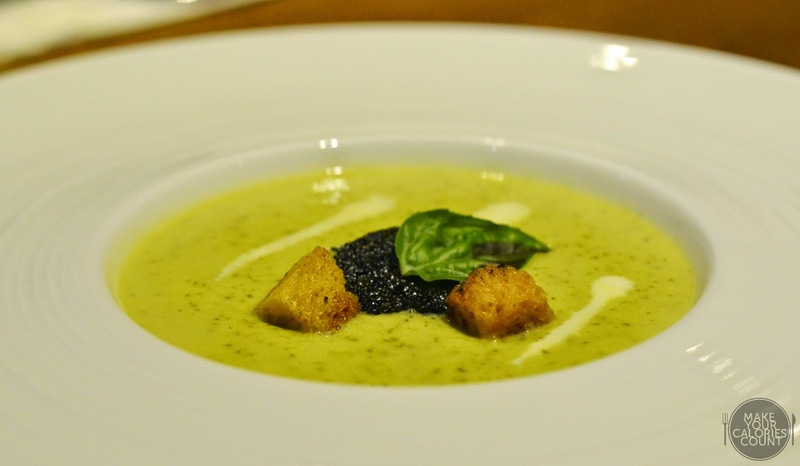 With a variety of soups to choose from, we were well-greeted by this light zucchini soup topped with crispy seaweed, croutons and cream. The delicate summer squash carried a tinge of natural sweetness and the richness of the soup was enhanced by the cream drizzled in, piquing our appetite for a sumptuous meal ahead! Flavoured with herbs and spices, the thickly sliced pork terrine accompanied a side walnut salad. This not only added texture to the dish with the crunch but allows the savouriness of the freshly prepared terrine to shine. What made this simple dish a star was the freshly baked brioche with a smear of the gorgeous grape juice blended mustard sauce. This not only added a different dimension to the dish in terms of flavours but the crispness of the brioche added a desired layer of texture. 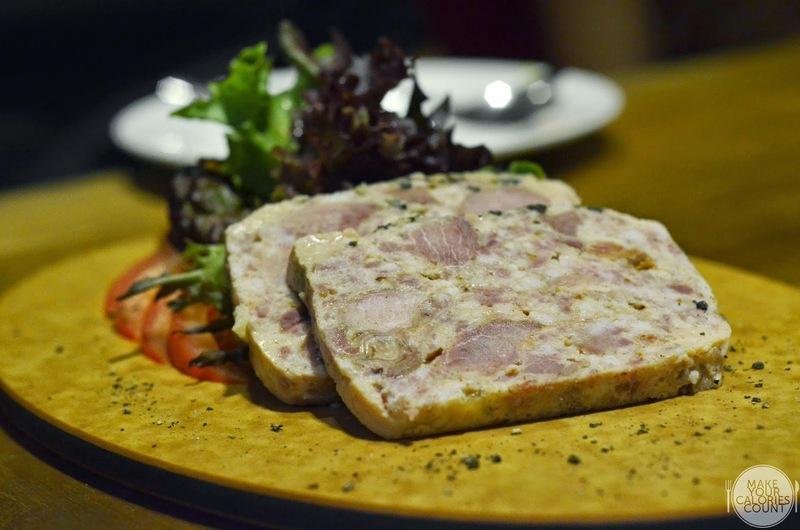 The slight acidity from the vines paired with the pungency of mustard provided complexity and cuts through the savouriness of the pork terrine beautifully. 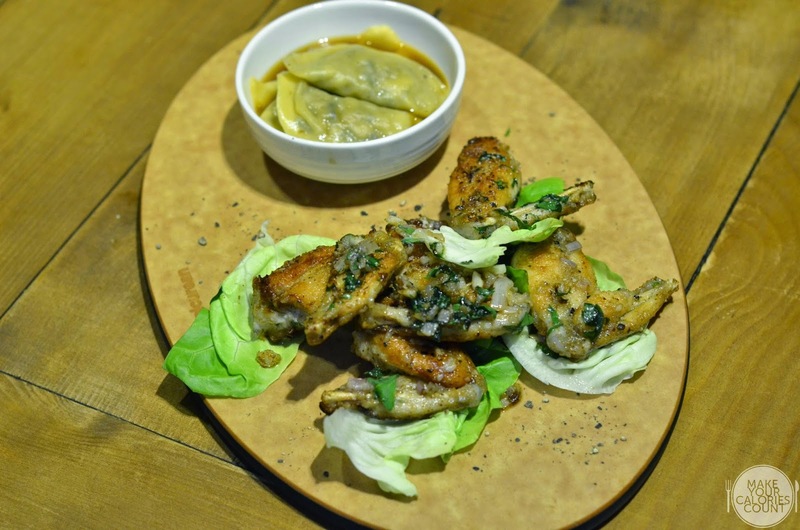 An undisputed French-inspired dish, the frog legs were lightly seasoned with salt and pepper before being seared in the pan together with some chopped onions to add extra fragrance to the dish. What made this dish complete however was the veal jus which elevated the oomph factor for the dish. 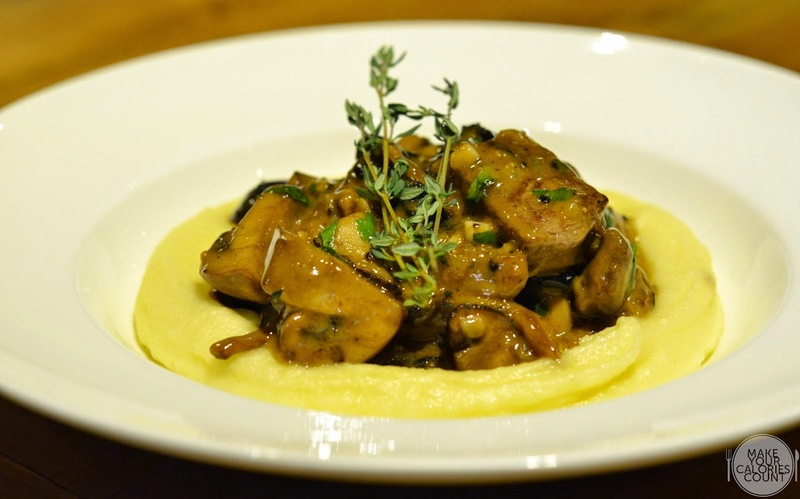 Paired with the mushroom-filled ravioli, it was an attempt by the chef to marry Italian culinary fare with the classic French. Personally, I would have preferred a slightly thinner egg pasta dough to avoid the slightly starchy after-taste. Looking to share? 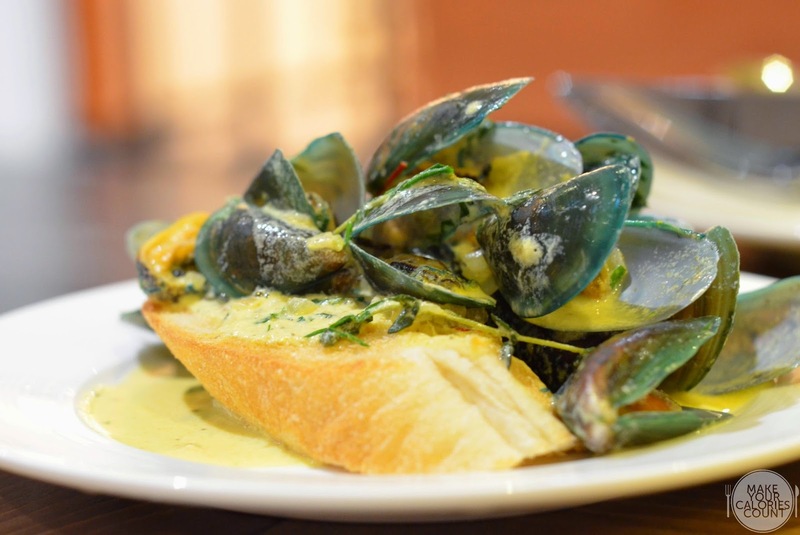 How about a brimming bowl of plump and succulent New Zealand Blue Lip mussels cooked in a gorgeous white wine, garlic and seafood broth flavoured by saffron. Served with some sliced baguette, I could not resist soaking up all that goodness in that creamy broth! 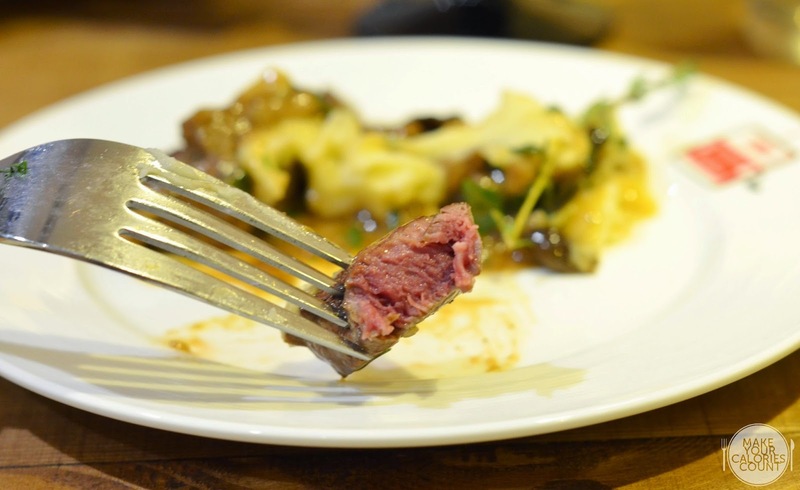 The grain-fed tenderloin, cut into cubes, were grilled medium-rare by default, allowing the red meat to flaunt its quality and freshness. Tossed in a mushroom sauce and a choice of mash or fries, the natural option was the former where the chef's skills was put to test. Full marks for the consistency and creaminess of the velvety mash, making it pure decadence to scoop it all up! Tracing the origins of the dish, this rich and slow-cooked casserole originated in Southern France which typically contains meat, pork skin and white beans. 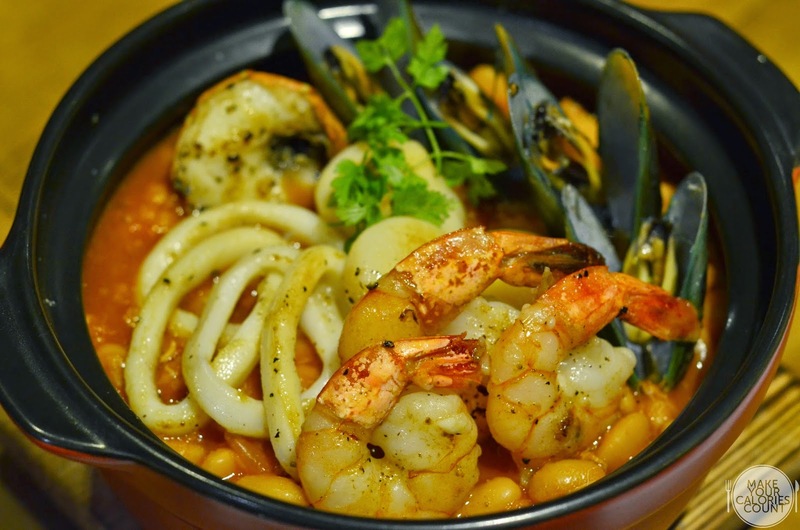 Taking a more sassy twist, this rendition was seafood-centric, offering nothing shy of the freshest lobster, scallops, mussels, prawns and squids over a pot full of home-made white beans. A hearty dish perfect for sharing, what made this stew spectacular was the seafood broth with crab meat shreds that added a strong punch in flavours. 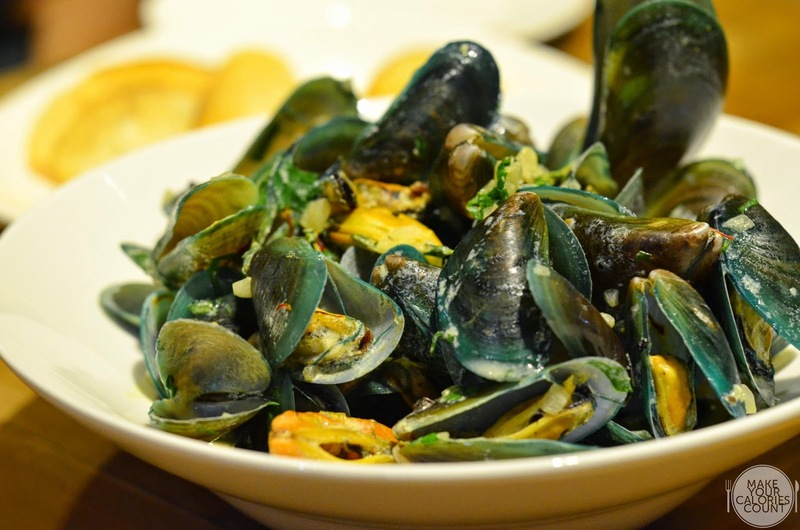 Recommended for the seafood-lovers. 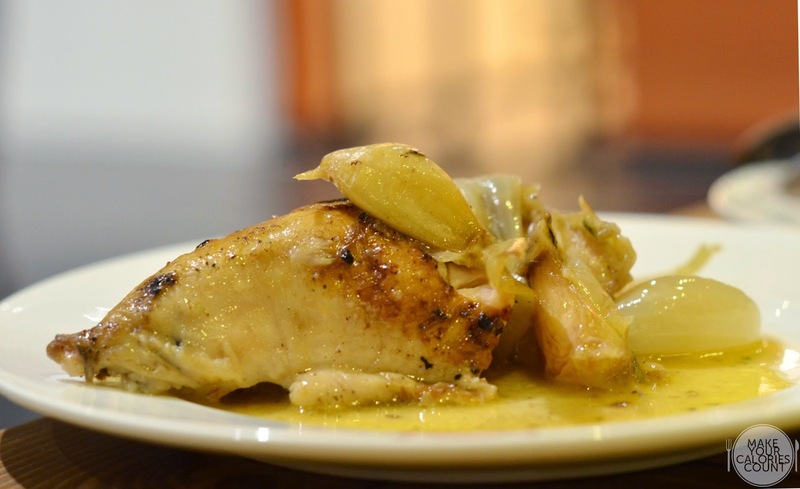 Half a spring chicken, expect to be greeted by an abundance of fragrance from the roasted garlic cloves. 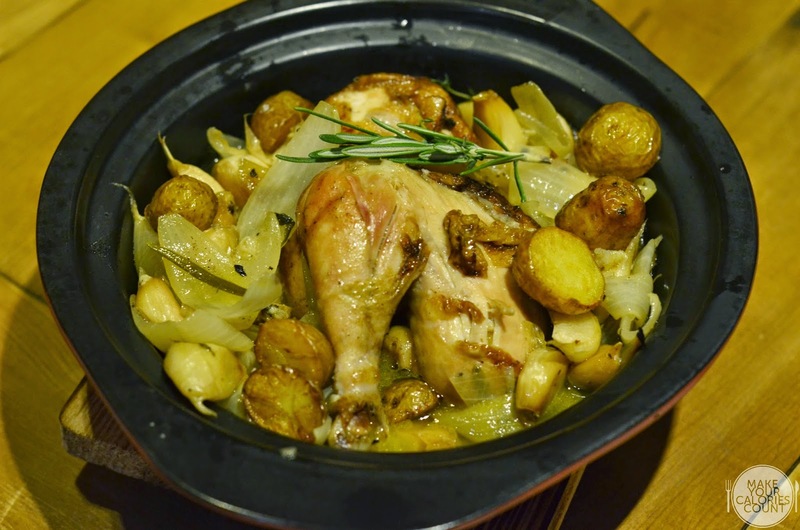 A hearty dish perfect for the wet and cold days, the chicken was treated delicately by the chef. It was first roasted to derive that slightly crisp chicken skin and the nice golden brown tan on the bird. Finished with a braise, the chicken retained absolute moisture in its flesh, defining succulence at its best. If you are a garlic lover, embrace that beautiful aroma and because the cloves were cooked through till soft, tuck away your mints even if you are having a meeting post-meal. 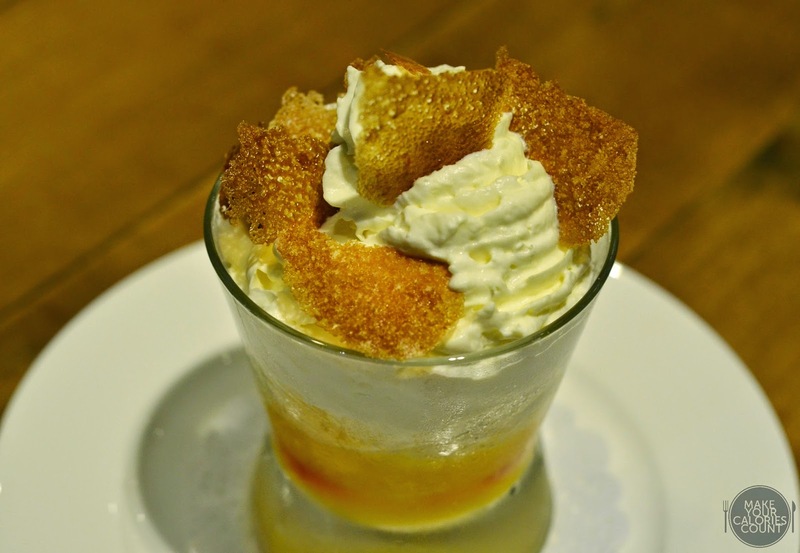 If you have a picky palate for desserts like me, I highly recommend the layered dessert of fresh orange wedges, orange jelly, Grand Marnier foam and the assuring caramel crisp to score the dish a home-run. The flavours were robust, complex and I was highly intrigued at the various dimensions the chef managed to introduce to the dessert building upon a base ingredient, orange. Textures were plentiful, starting from the crisp crunch to the melt-in-your-mouth foam before a pleasant tang from the orange jelly to make all guests award a thumbs-up. Recommended for those with a sweet tooth but might come across as slightly too sweet for some. Obscenely good is how I define this dessert. Served innocent with that classic caramelised crust, it turned into a messy affair as soon as you crack it open and the shot of espresso oozes upwards like a geyser. 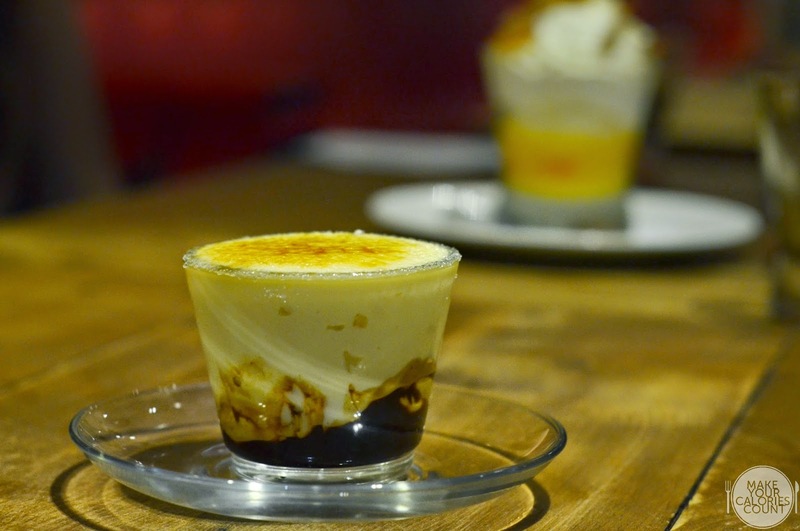 While some might find the dessert too satiating with the richness of the rich custard, expect to be in heaven if you enjoy bold flavours. The bitterness of the caffeine shot cuts through the richness beautifully. If you are having quite a heavy meal, I would recommend sharing this as it might be too heavy for just one pax. 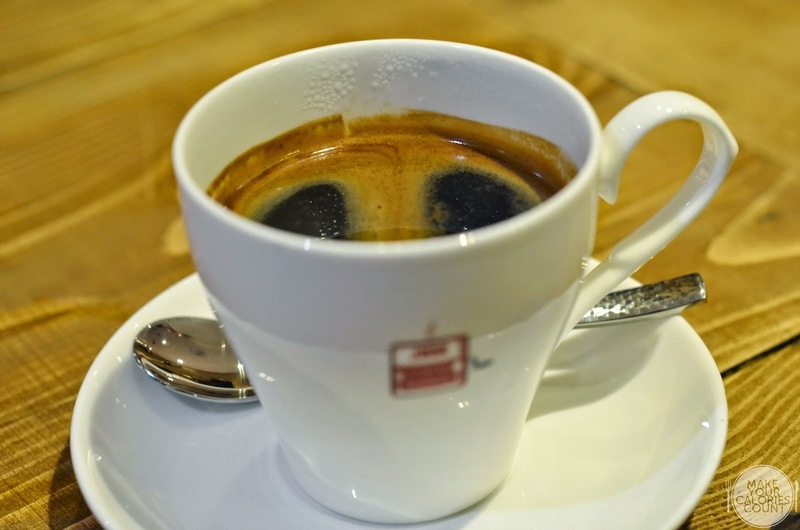 While most close friends would know that I only enjoy my black coffee plain in the form of Americano or Espresso, I could not resist the highly recommended java-inspired drink. Freshly made Chantilly cream together with home-made salted caramel, I was impressed by the consistency that made this a must-order by anyone's standards. Depending on your tolerance for sweetness, some might find this a tad too sweet though it was okay by our standards! Just the desired way to conclude an evening of good food with a balanced cup of black coffee with just the right amount of acidity, robustness of the beans and aroma of the roast. 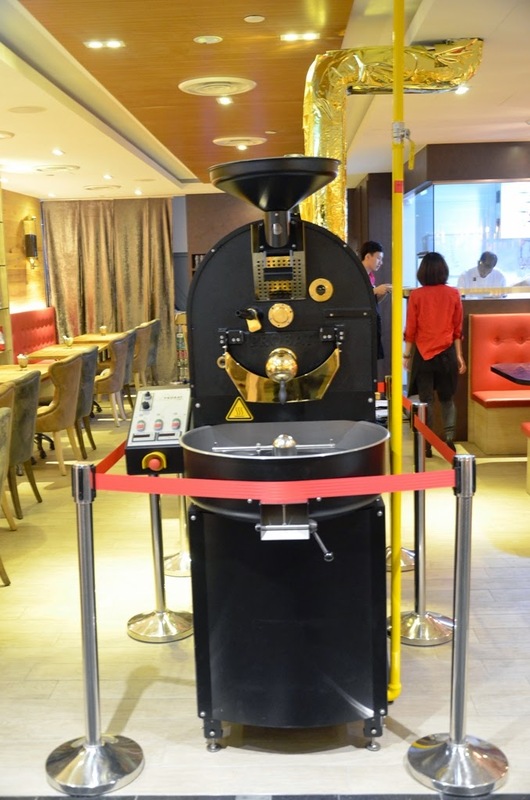 Right in the middle of the restaurant is this two-metre tall state-of-the-art Probat Roaster specially imported from Germany which defines who the owners are and where they started the business. Soon, this machine will be where JBM Coffee & Dining does its daily roast which will bring a divine aroma to the area! 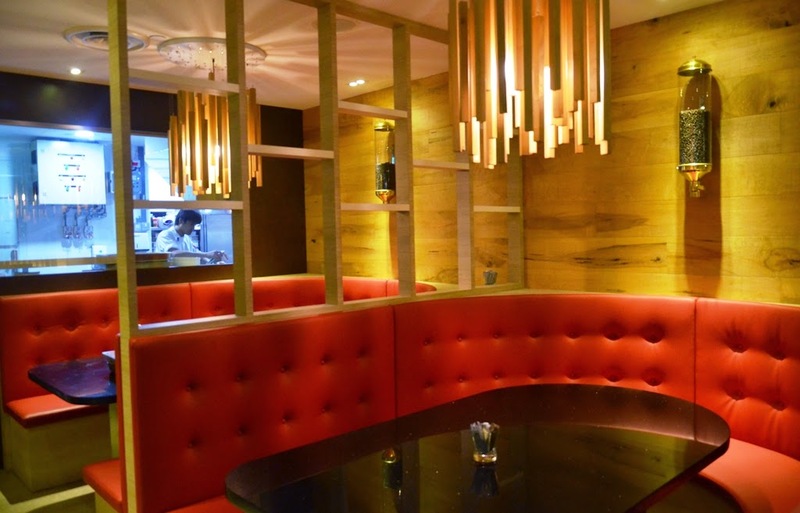 Tastefully decorated with plush brown leather chairs, banquet seats, there are even two private booths which can seat up to eight diners. 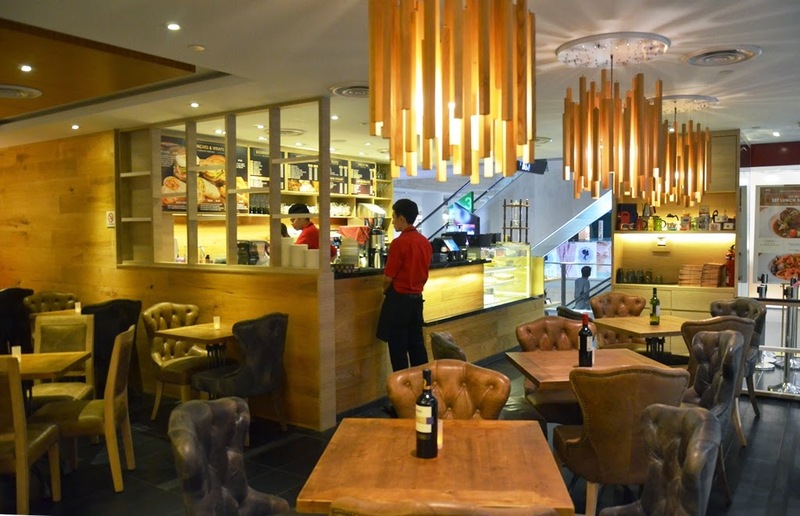 While restaurants and eateries in general within the Raffles Place area are swarmed during lunch-hour, it would also be a great time to visit in the evenings if you are looking for some quiet moments with a date or even a meal with a business associate. Service at tastings are usually good but I noticed how the service crew was equally attentive to the surrounding diners at nearby tables. A place that serves quality food at reasonable prices, I am looking forward to my return visit already. P.S: Special thanks to Veronica and JBM Coffee & Dining for the invitation and great hospitality!